Thank you for choosing Coastal Jeep Ram in Quincy, FL. Serving Gadsden, Jefferson, Wakulla, Liberty, Jackson & Leon County for over 14 years. 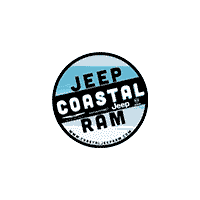 At Coastal Jeep Ram Dodge Chrysler, we sell new and pre-owned vehicles at lower prices than the competition. If it is the all New Chrysler Dodge Jeep or Ram, or any new Car, Truck, or SUV, you will save time & money. Match that with the leading pre-owned selections in the area and we put value into your next purchase. Our sales team will guide you along the way as you search for your dream car. We welcome our friends from Tallahassee, Marianna, Quincy, Havana, Panama City, Bainbridge, Cairo, Thomasville and all surrounding areas. We also offer a variety of additional services that include financial assistance, vehicle repair and a well-stocked inventory of OEM auto parts. It’s all here at our 1724 W Jefferson St, Quincy, FL location. Just 15 minutes west of Tallahassee. Give us a call at 850-200-0911. We look forward to hearing from you soon!